PaleoJudaica.com: PaleoJudaica has a Blogroll again! REASSIMILATED TO THE BLOGROLLOSPHERE: In the early days of blogging many, probably most, blogs had a blogroll in their sidebar. PaleoJudaica was no exception. A blogroll is a list of linked-to blogs (or regularly updated websites) which readers of the posting blog may find interesting. I maintained PaleoJudiaca's blogroll for many years. But over time too many blogs fell away or ceased to post frequently. When I updated PaleoJudaica's template some years ago, I did not bring the blogroll forward. But now people are realizing the value of blogs over less nutritious social media. There's a new generation of bibliobloggers, and more people are tuning in to those of us who never stopped. It's time for a new PaleoJudaica blogroll. You can find it in the sidebar to the right. 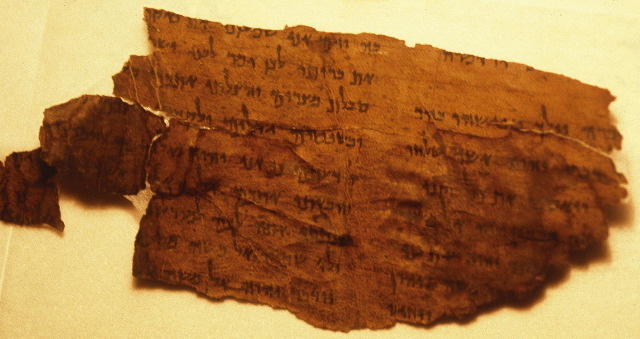 All of the blogs in the PaleoJudaica blogroll publish posts of interest for the study of ancient Judaism. Some of them do so often, others only occasionally. Many of them also publish on matters of background or cognate interest, things in which PaleoJudaica is also interested. Most of them post frequently. One or two post infrequently but are very relevant when they do post. For more on the specific interests of PaleoJudaica, see the About PaleoJudaica page. Inclusion in the blogroll does not imply any endorsement of the full content of any blog. If there is anyone I agree with on everything, I have yet to meet that person. Likewise, as always, my linking to a blog post doesn't necessarily mean I agree with what it says. It just means it is something I think my readers may find interesting. I blog, you decide. If you have a blog that posts interesting things about ancient Judaism and related matters and you are not in my blogroll, please drop me a note. I would be happy to look at your blog and consider it for inclusion. So, my faithful readers, this is for you. 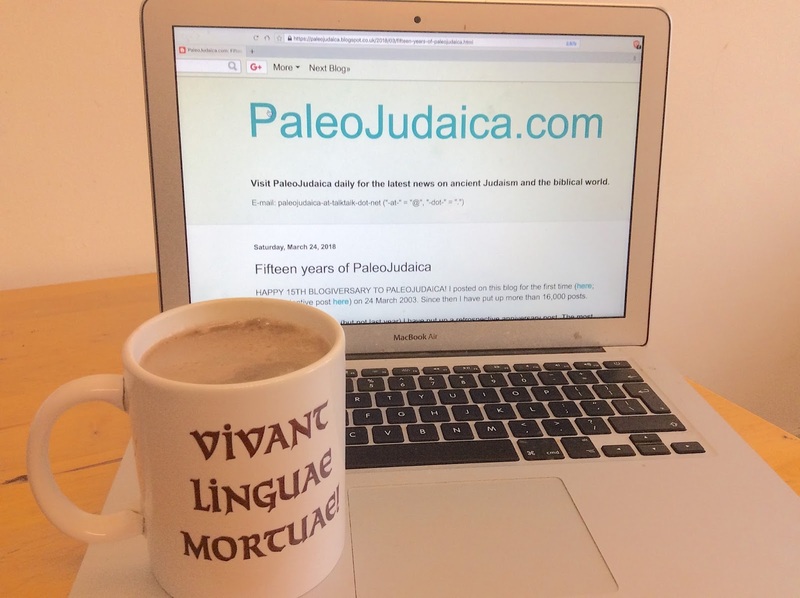 When you sit down daily to PaleoJudaica with your morning coffee (or whenever with whatever you drink), you can check out the latest on the biblioblogosphere too. UPDATE (4 May): I should add that the blogs in my Blogroll are by no means the only ones I link to. I keep an eye on many other blogs that occasionally provide items of interest. 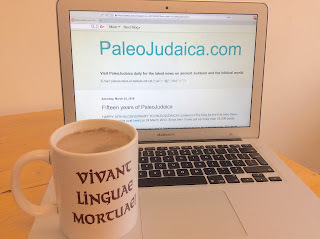 Whether or not your blog is on my blogroll, if you have published a post you think might be of interest to PaleoJudaica, please do drop me a note and alert me to it. I will be happy to have a look at it.